If you're really a fan of my musings on this blog, I'm sure that by now you've detected my love for small dishes (also known as tapas in Spain) or small meals not only for the ease in eating, but most importantly for the fact that I'm never left feeling uncomfortably full - which I highly despise. Also, I'm one of those people that enjoys food that is well-presented and tastes delicious. Obviously, most of the time, the luxury of going to the right place to eat lunch/brunch isn't always present or feasible. So on the days that I can, I roll-up my sleeves and get down in the kitchen to whip up my own delectables to my liking and my hubby's satisfaction. Keeping in step with that - this week I decided to create these miniature tasty bacon and cheese quiche bites that make the perfect brunch served with a side plate of seasonal fruits. In this instance, I just served them with strawberries and a cup of some French pressed coffee. - Spray mini muffin tin with non-stick cooking spray. Cut 24 strips of cooked bacon into quarters. Place one full strip of cooked bacon around the side of the muffin tin and two quarter pieces of strips in the base of each muffin cup - make sure to press and overlap the bacon ends together . 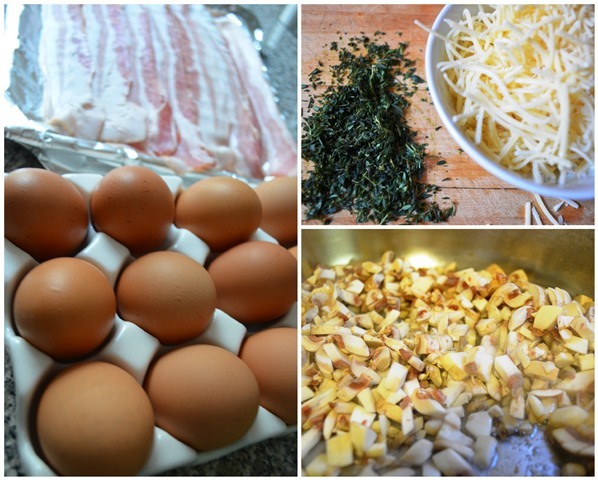 - In a large bowl, beat the eggs and whisk in mushrooms, chopped thyme and black pepper. 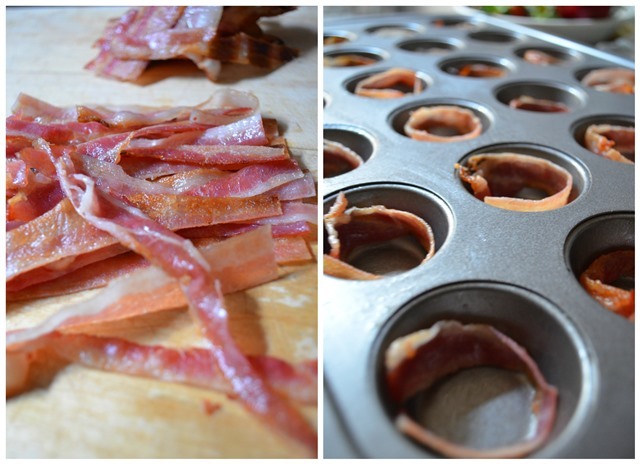 - Pour egg mixture in equal portions into each muffin cups lined with bacon, about 2/3 full each cup. - Sprinkle equal portion of shredded cheese into the cups and top each with two quarter strips of bacon. - Place filled muffin tin in oven and bake for 20 minutes, or until egg is completely set, cheese is completely melted and tops are browned. 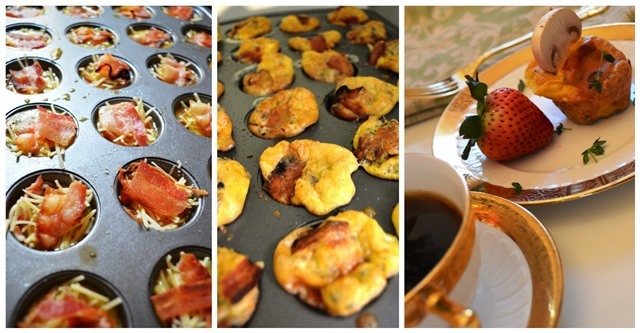 - Remove muffin tin from oven, loosen quiche using a knife. Serve and enjoy your mini quiche bites.